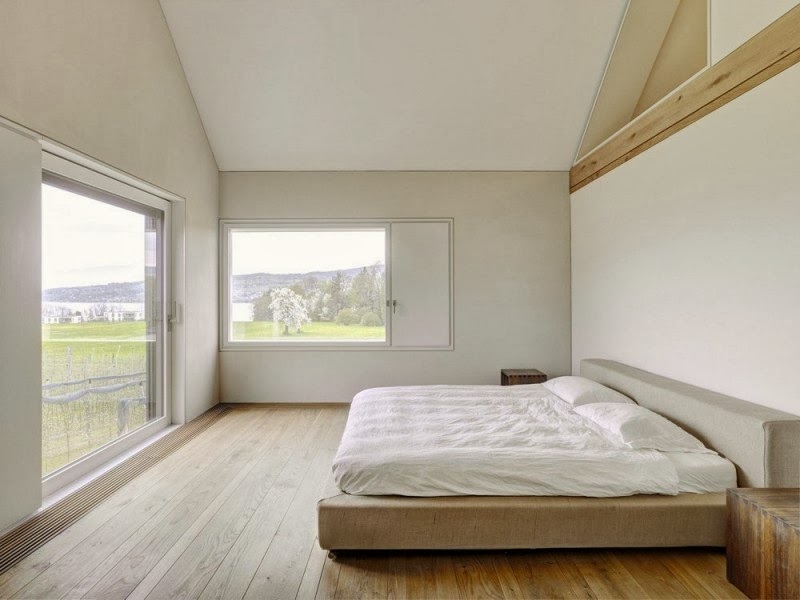 Architects Rossetti + Wyss designed this minimalist family house in Gottshalden, Switzerland, overlooking Lake Zurich. 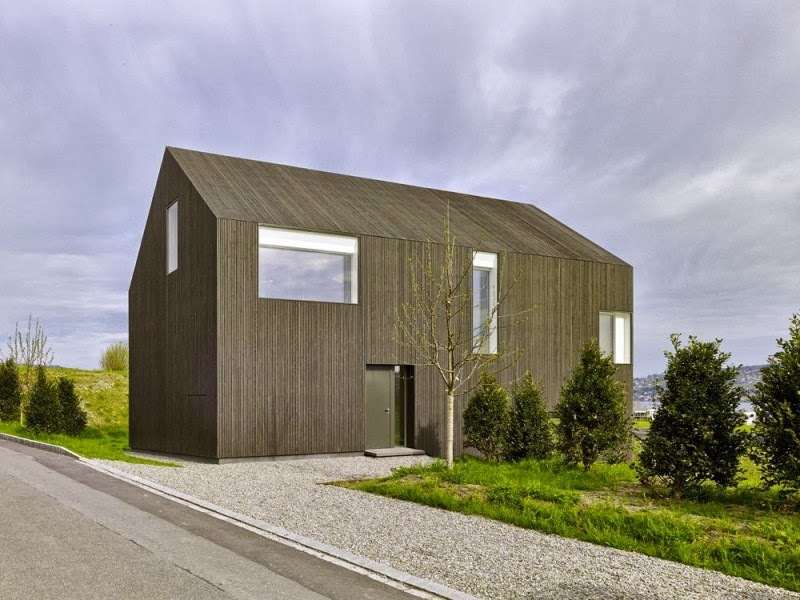 The primitive, basic form of the building is characterized by its timber cladding and pitched roof. 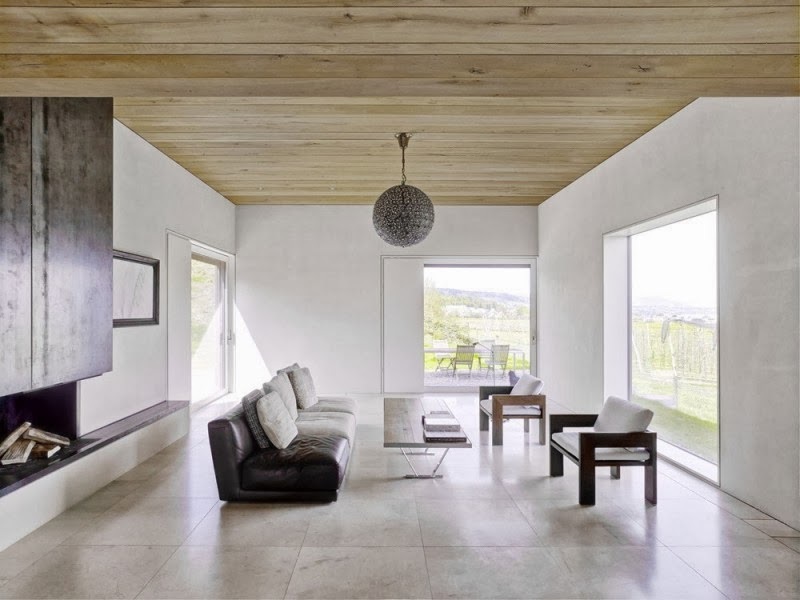 White, light interiors contrast with the dark facades and frame the surrounding views through large windows. 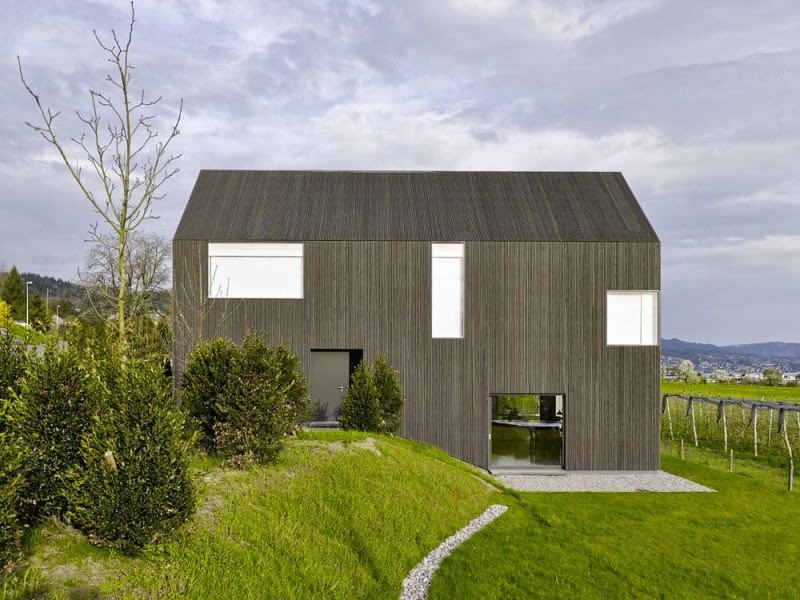 “The house in Gottshalden is located on a plateau over the Lake Zurich. It is set in green surroundings with a high quality of life, dominated by agricultural use. 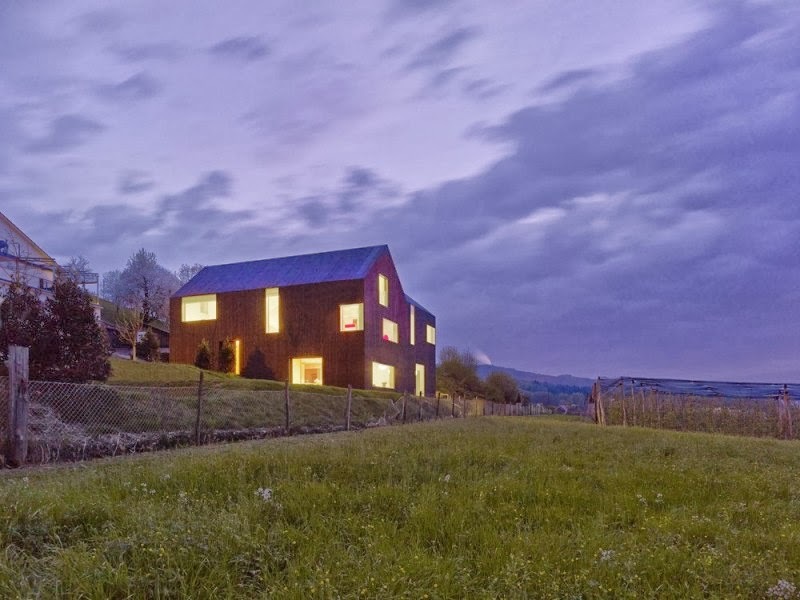 The volume exhibits a unified design, with a reduced, sharp-angled timber facade. 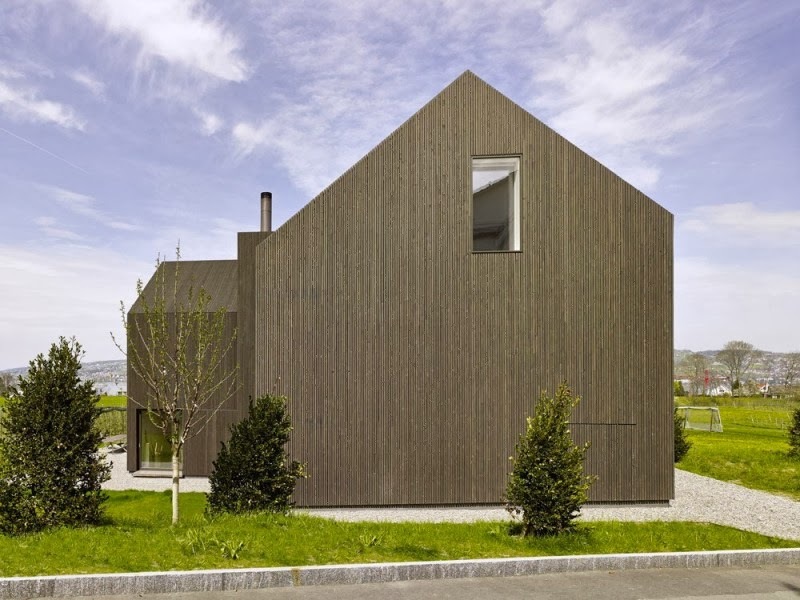 The furniture-like wooden skin defines both walls and rooftops, covering the exterior in a single material, unbroken. The various geometries lend the structure plasticity, while the windows flush with the exterior, are emphasized with lighter-colored reveals. 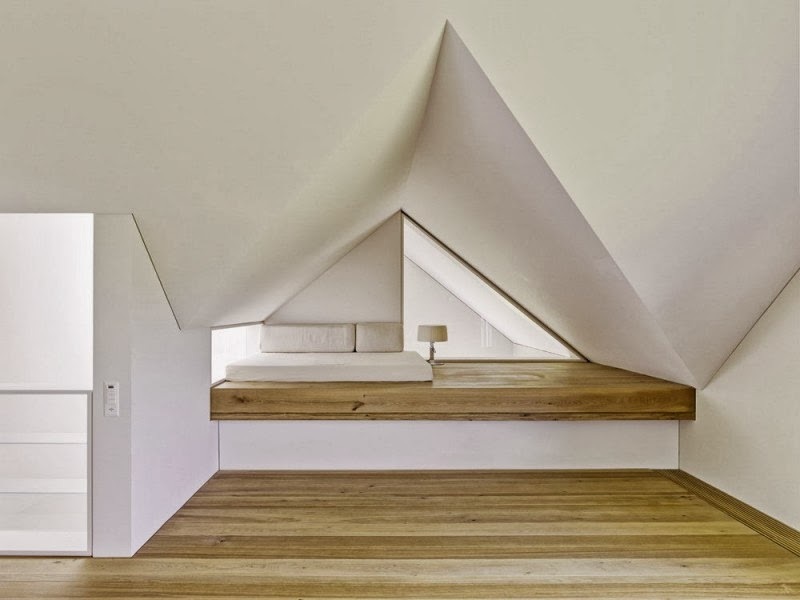 The L-shaped floor plan is organized vertically as a splitlevel through the use of inserted platforms. 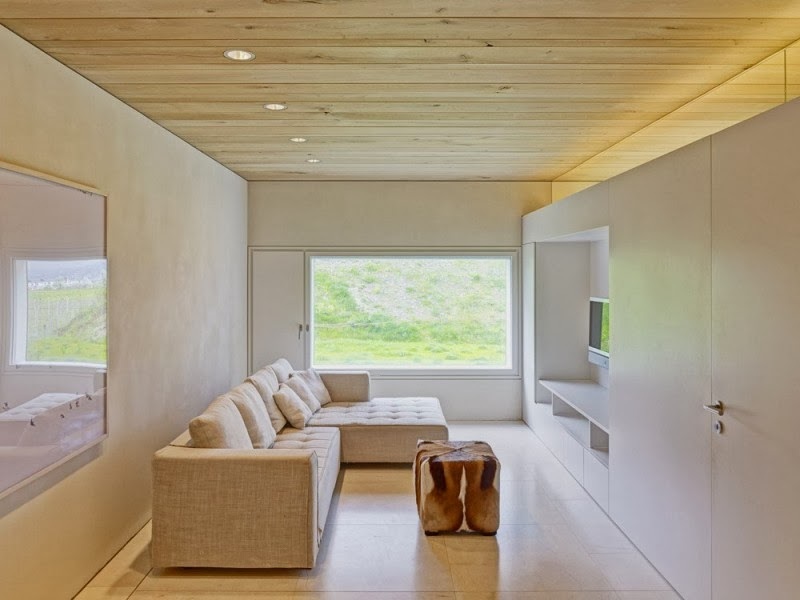 Inside, solid exposed oak planks in composite construction form the floors and ceilings. This visible display of the building’s structure in its ceiling and floor surfaces conveys the warmth of the material into the interior. 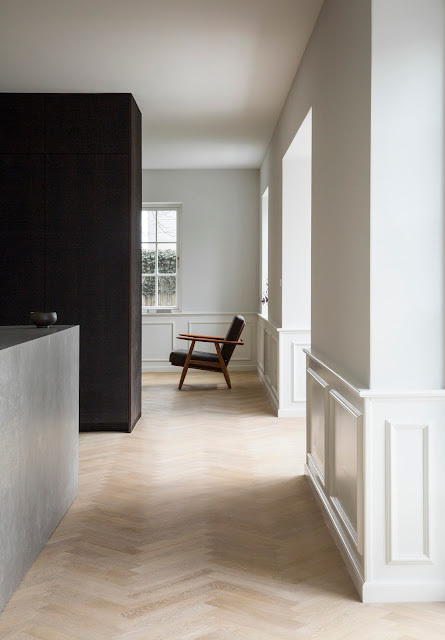 The alignment of the rooms switches from one story to the next. Light and shadow, closeness and spaciousness, a cascading staircase: the interiors breathe life in their diversity, inserted with careful precision in the enveloping shell. The windows frame pictures of the surroundings. 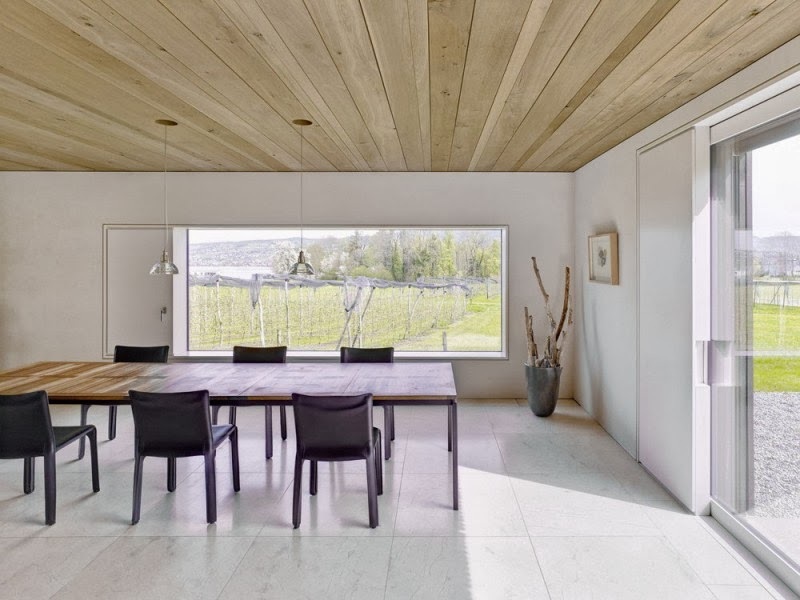 Ventilation is provided by means of a series of glazed doors so as not to obstruct the view. At dusk, the house begins to glow with a warm interior life.